A successful festival? Let's drink to that! When you're planning a gathering around flavor and conviviality, don't forget the libations. 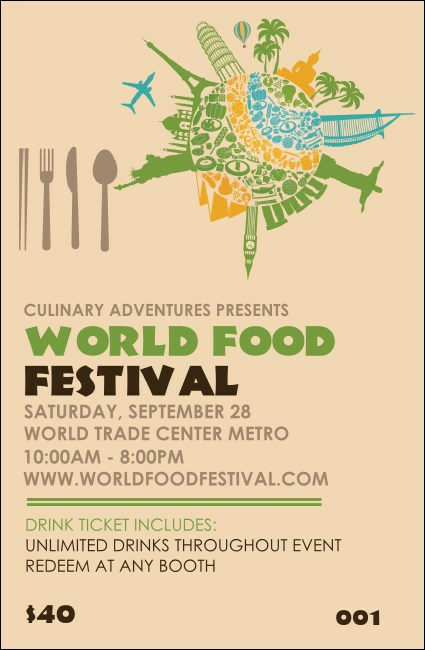 This Food Festival Drink Ticket ensures that no one goes thirsty at the big event. Make sure everyone gets the beverage of their choice to complement the current dish or clear the palate for the next one! Raise a glass with TicketPrinting.com.